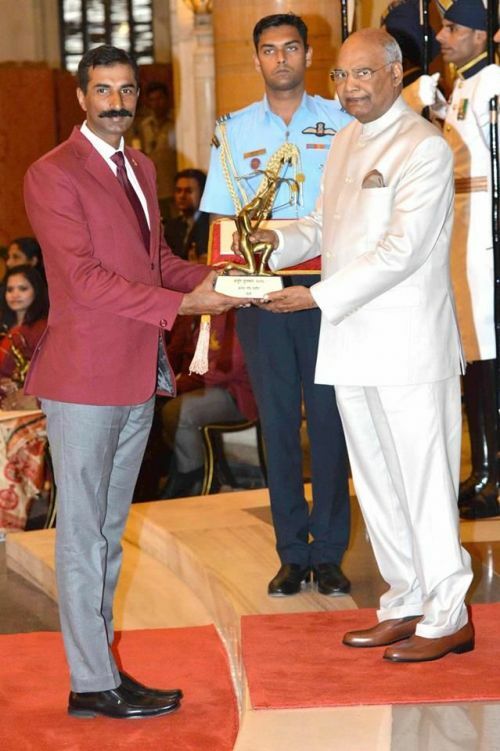 The Rajiv Gandhi Khel Ratna is the highest sporting honour of the country and is conferred upon the sportsperson whose have 'spectacular and most outstanding performance in the field of sports over a period of four years.' Sportspersons are chosen by a committee for their achievement in International multi-sports events such as the Olympic Games, Paralympic Games, Asian Games, and Commonwealth Games. 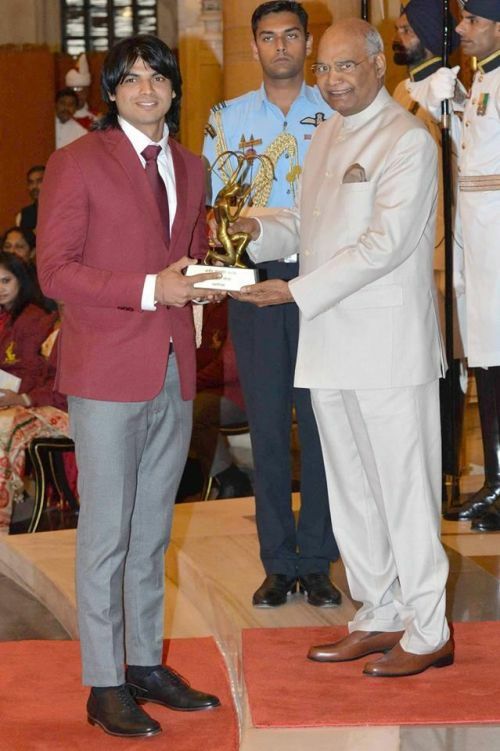 The honour is usually conferred to only one sportsperson in a year but exceptions have been made and this year also had 2 recipients. Next comes the Arujana Awards, conferred by the Ministry of Youth Affairs and Sports (MYAS) to sportspersons for their outstanding achievements. Besides excelling at their sport for the past 5 years, a sportsperson should also have leadership, a sense of discipline, and sportsmanship to receive the honour. 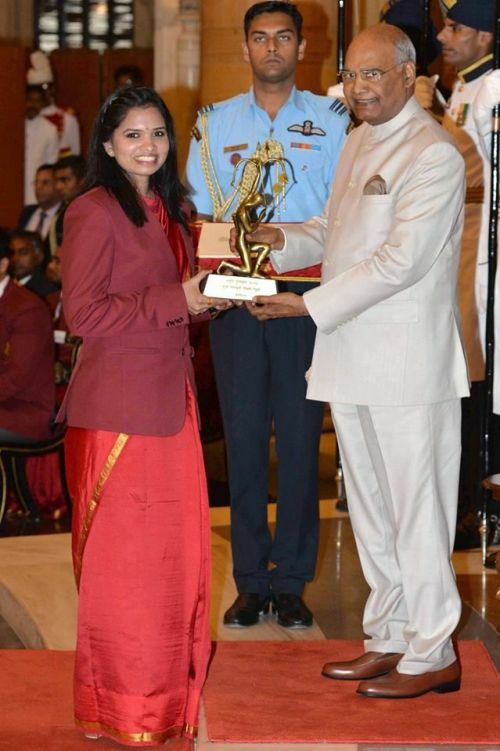 Any keen lover of Indian sports would love to know all the sportspersons who have received these honours this year. 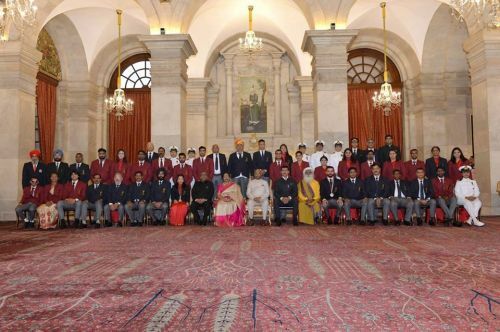 Here is the complete list along with their pictures and what they have achieved in order to be conferred with the honour. 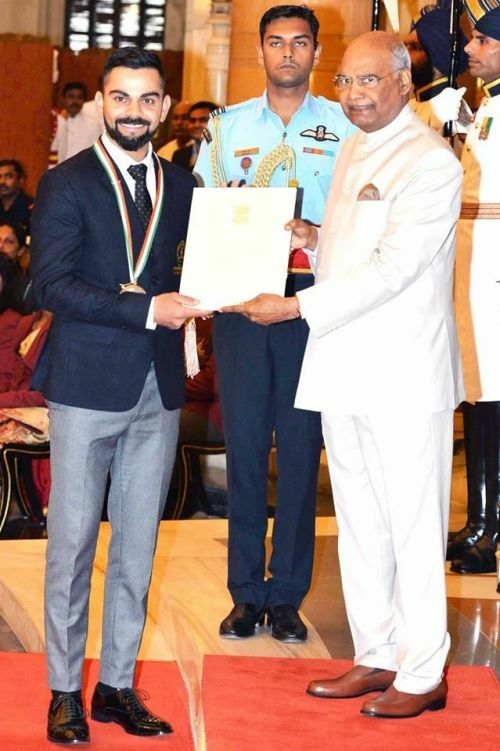 The most feared batsman of the current generation and captain of the Indian Cricket team, Virat Kohli got the Khel Ratna in 2018. He has 23 Centuries and 19 Half-Centuries in Test Cricket, and 35 Centuries and 48 Half-centuries in ODIs to his name. The 29-year-old shot to fame when he led India to glory at the Under-19 World Cup and he has not looked back ever since. Kohli was also named the player of the tournament in ICC World T20 in 2016 and the Khel Ratna is another feather in his cap. Indian fans will hope that he continues performing like he has been and shattering records. 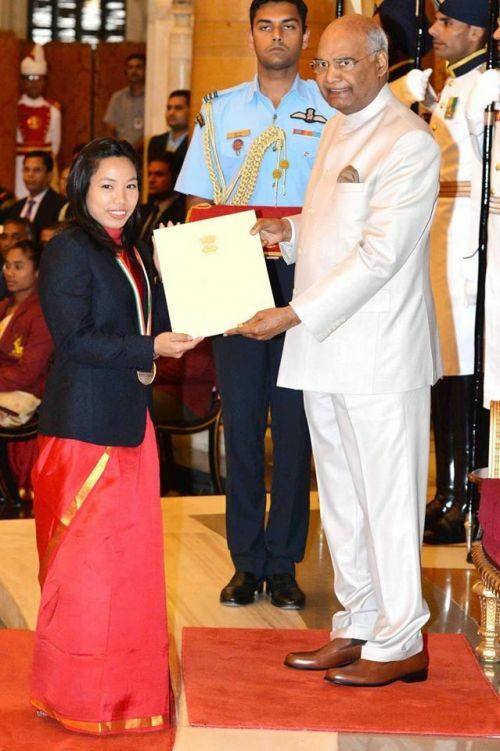 The 24-year-old weightlifter from Manipur was also conferred with the Khel Ratna this year. A gold medal at the 2018 Gold Coast Commonwealth Games, a gold at IWF Sr. World championship 2017, and a silver at CWG 2018 are some of her greatest feats. Unfortunately, Mirabai could not represent India at the Jakarta Asian Games due to a back injury but she is just a marvellous sportsperson and promises to keep bringing glory to the nation. 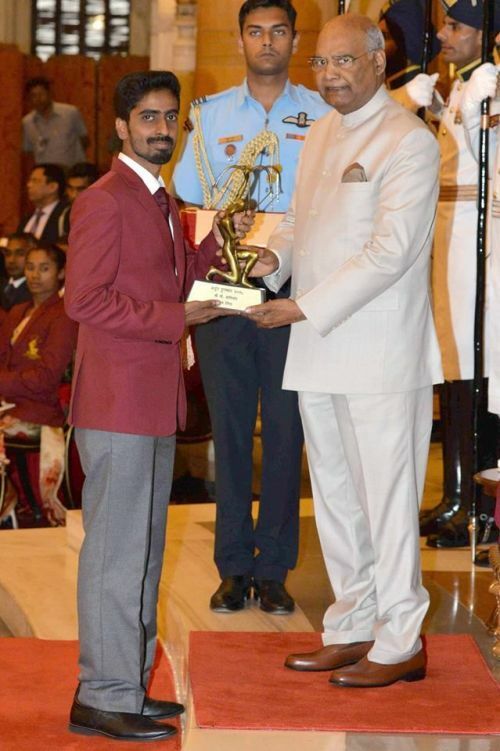 Ankur Dhama was conferred with the Arjuna award for his outstanding achievements in Para-Athletics. 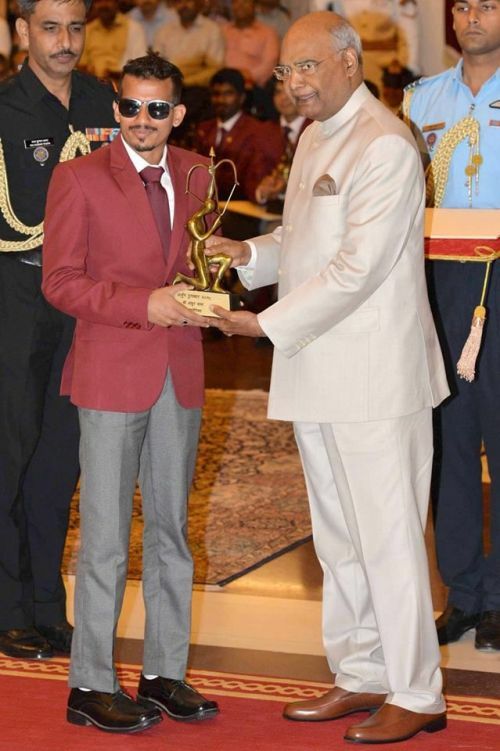 Bronze Medals in 5000 m and 1500 m at the Asian Para Games 2014, a Silver Medal (800 m) at Asian Para Games 2014 are some of his tremendous achievements. Shooting has always been a sport which has brought a lot of glory to India and as expected there were quite a few Arjuna Awardees in shooting. The first of the lot is Ankur Mittal. The 26-year-old trap shooter won an individual Gold in Commonwealth Shooting Championship 2017, an individual Silver in ISSF World Championship 2017, and a Bronze medal in the Gold Coast CWG in the Double Trap Shooting (Men) event. India's golden girl Hima Das has shot to fame for her exploits in recent times. The 18-year-old has become the poster girl of Indian athletics. She won gold in women’s 4 x 400 meters relay at Asian Games 2018, silver in women’s 400 meters at Asian Games 2018, silver in mixed 4 x 400 meters relay at Asian Games 2018. Her gold 400 m at the 2018 World U20 Championships in Tampere changed her life and many are now expecting an Olympic medal from the young talent. India's best middle-distance athlete, 27-year-old Jinson, has numerous accolades -- Gold medal at Asian Games (1500 mts) 2018, Silver medal at Asian Games (800 mts) 2018, Bronze medal at Asian Athletic Championship (800 mts) 2017. 23-year-old Manika Batra has become the poster girl of Indian Table tennis. 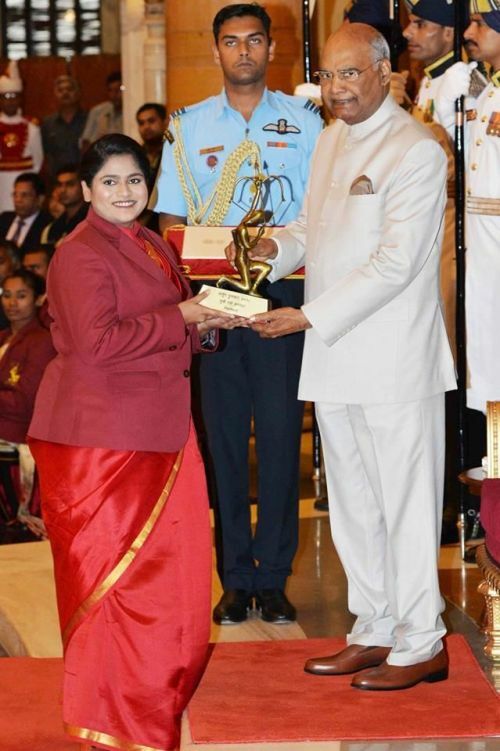 She shot to fame after clinching 4 medals at the Gold Coast CWG -- Gold medal (Individual) at CWG 2018, Bronze medal (Mixed Doubles) at CWG 2018, Silver medal (Women Doubles) at CWG 2018, Gold medal (Women Team) at CWG 2018. Her Bronze medal along with Achanta Sharath in the Mixed Team event at the 2018 Asian Games was historical. She has many more records to break in the future. Manpreet Singh has played a big role in guiding the team to great heights. It will be safe to say that it is a time of resurgence in Indian Hockey. Bronze Medal (Men Team) at Asian Games 2018, Gold Medal (Men Team) at Asia Cup 2017, Silver Medal (Men Team) at CWG 2014, and Gold Medal (Men Team) at Asian Games 2014 are some of his achievements. 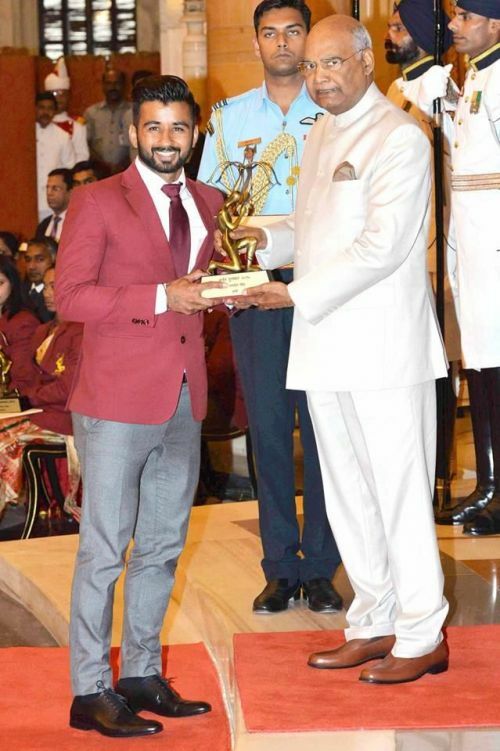 The 20-year-old javelin thrower from Haryana has shattered all the national records in Javelin. 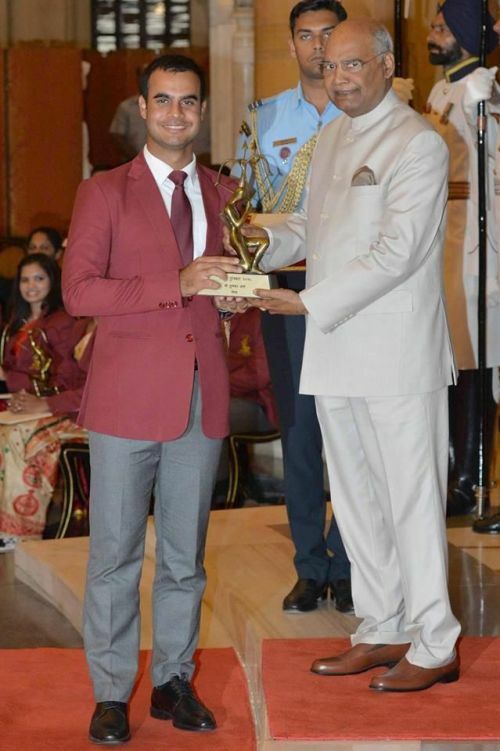 Gold medal in Javelin Throw at Asian Games 2018, Gold medal in Javelin Throw at CWG 2018, Gold medal in Asian Athletic Championship 2017 are some of his achievements. Wushu is a martial art form where India is rarely expected to win medals at an International sport event. 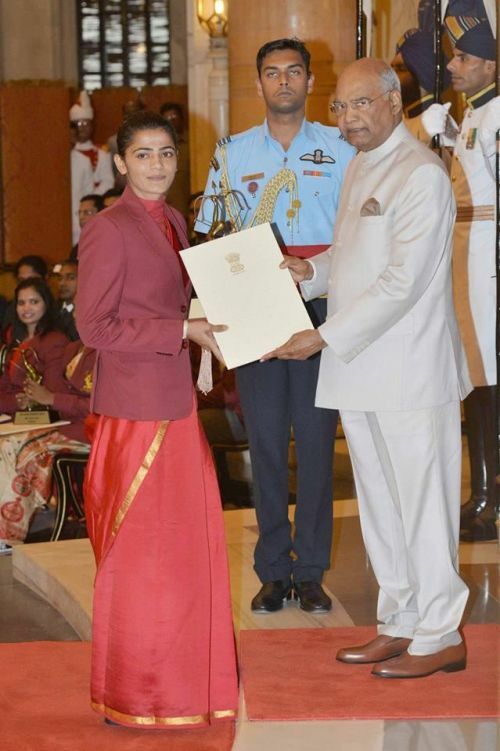 However, Pooja Kadian broke all stereotypes to win Gold at World Wushu championship, 2017; Bronze at Wushu Sanda World Cup, 2016; Bronze at Asian Wushu championship, 2016; and Silver at World Wushu championship, 2015. 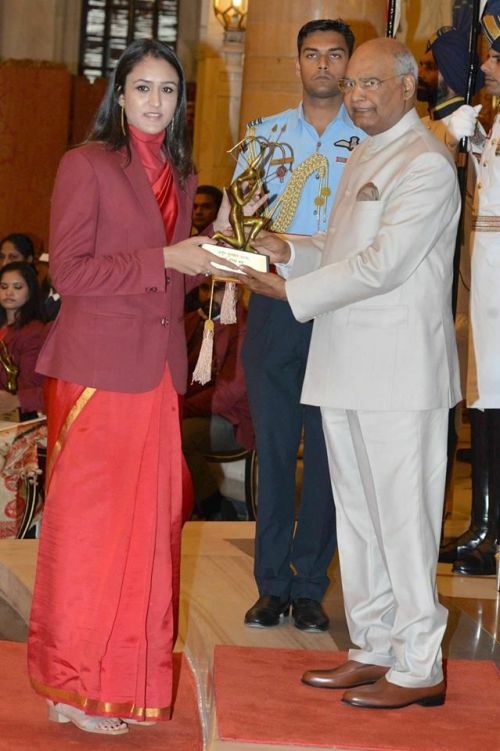 Young shooting sensation Manu Bhaker was the one expected to win gold at the 2018 Asian Games but it was Rahi who brought home the yellow metal for India. 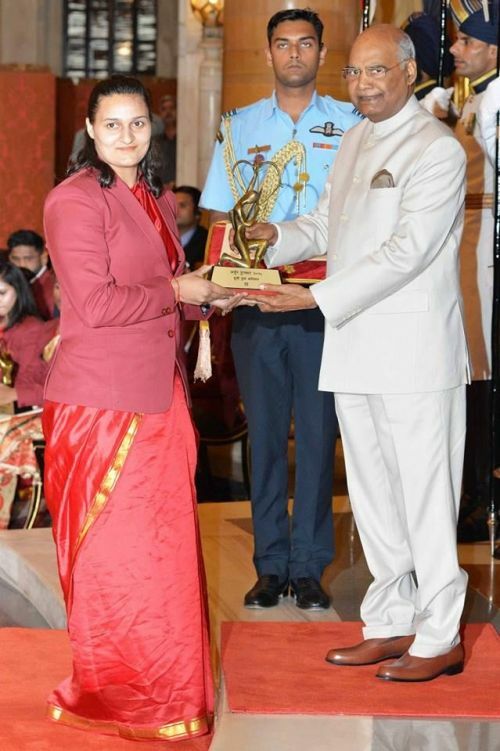 She won the Gold medal in Asian Games 2018 in the Women's 25 m pistol event and also has to her name Bronze medal at Asian Games 2014, and Gold medal at Commonwealth Games 2014. Team Gold at 11th World Cup Polo Championship (Asia & Africa Zone) in 2017 and Winner of International Polo Match (ARC India vs Argentina) 2014 are some of Ravi's achievements. 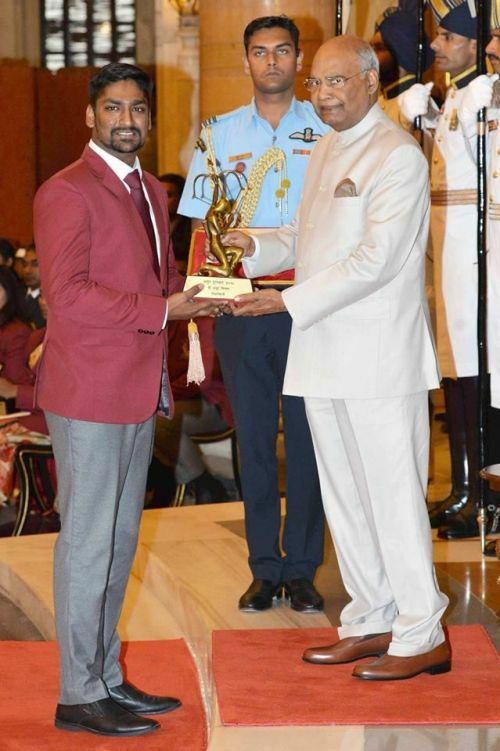 The charismatic Sathiyan has many medals to his name in recent times -- Gold medal (Men Team) at CWG 2018, Silver medal (Men Doubles) at CWG 2018, Bronze medal (Mixed Doubles) at CWG 2018, and Bronze medal (Men Team) at Asian Games 2018. 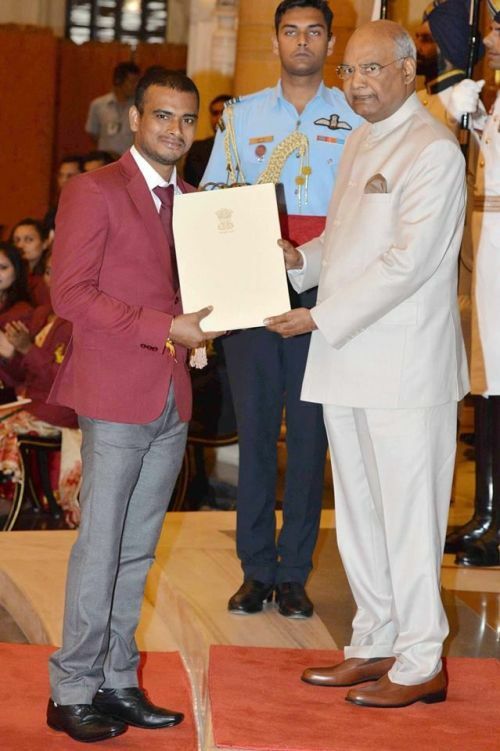 Satish won a Silver Medal in Commonwealth Games 2018. 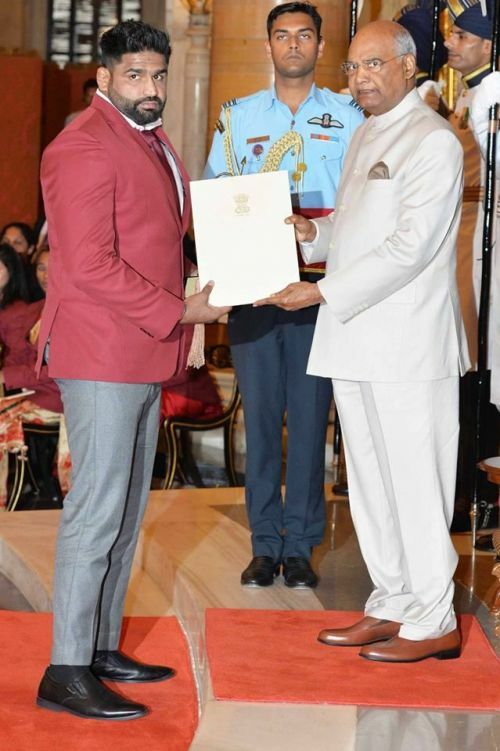 The other major achievements of the super heavyweight boxer include a Bronze Medal at Asian Boxing Championship 2015, and a Bronze Medal at Asian Games 2014. 28-year-old Savita Punia is the goalkeeper of the Indian Women's hockey team and has been a pillar of strength of the team since she has guarded the goal. Her performances were pivotal in helping the team win a Silver Medal at Asian Games 2018, and Bronze Medal at Asian Games 2014. Shreyasi Singh is another fine Indian shooter who takes part in double trap event. 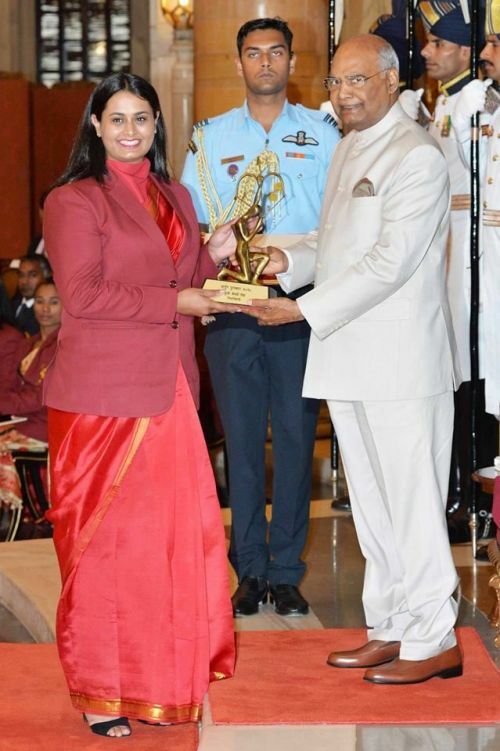 A Gold Medal at CWG 2018, Individual Silver at Commonwealth Shooting Championship 2017, Team Gold at Asian shotgun Championship 2016, and Bronze at CWG 2014 are some of her accolades. 22-year-old Shubhankar is one of the finest golfers from India and has multiple tour wins to his name. Nelakurihi Sikki Reddy's contribution to Indian badminton has just been phenomenal. She won a Bronze medal (Women Doubles) at CWG2018, Gold medal (Women Team) at CWG 2018, and Bronze medal (Women Team) at Asian Games, 2014. Sumit Malik is a freestyle wrestler and represents India in the 125 kg category. 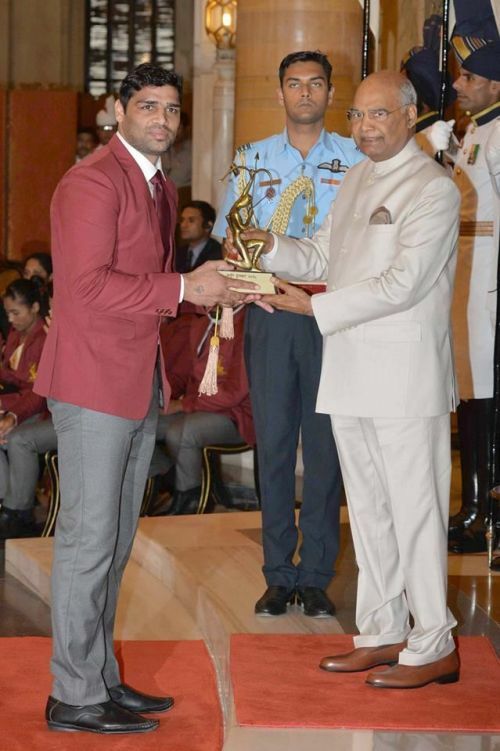 Gold medal at Commonwealth Games 2018, Silver medal at Senior Asian championship 2017, and Silver medal at Commonwealth championship 2017 are his achievements. Gold at BWF Asian Para-Badminton Championship 2016, Bronze at BWF Asian Para-Badminton Championship 2016, and Silver at BWF Para-Badminton world Championship 2017 are the achievements of the para-badminton player. 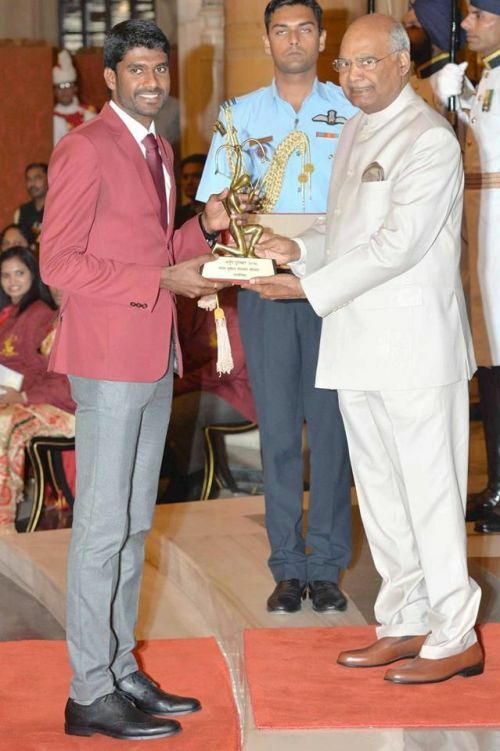 19) and 20) Smriti Mandhana and Rohan Bopanna were also conferred the Arjuna Awards for their outstanding achievements in Cricket and Tennis, respectively.